The Catalyst neighborhood at Friendship Haven has long served as the transitional neighborhood on campus. Whether patients are transitioning from one area of campus to another, from hospital to home, or this life to another, our Catalyst support team works diligently to give each patient the dedicated service they need. Recently, Friendship Haven decided to expand upon these necessary services by growing the Catalyst neighborhood from 16 rooms to 30 rooms. The expansion now allows the flexibility to care for both short-term and long-term patients, specified to their needs, as well as hospice care. Since Catalyst will still remain a transitional neighborhood, patients have flexibility once they move on from the program. When they have reached a satisfactory level of strength, they have the opportunity to move on from Catalyst to another neighborhood of Friendship Haven as rooms are available, or back to their home for those who were simply seeking transitional therapy. For those needing therapy services, our in-house program, Trilogy Therapy, is available to all Catalyst patients. If you or someone you know would be interested in utilizing transitional care at Catalyst, applications are available to complete. You can contact Molly Schaeffer, Director of Social Services, at 515-573-6707 to begin the application process and to find answers to any questions you may have. Individual rooms as well as the entire floor plan design of the Catalyst Rehabilitation Center are designed to facilitate your rehabilitation in an efficient and comforting environment. 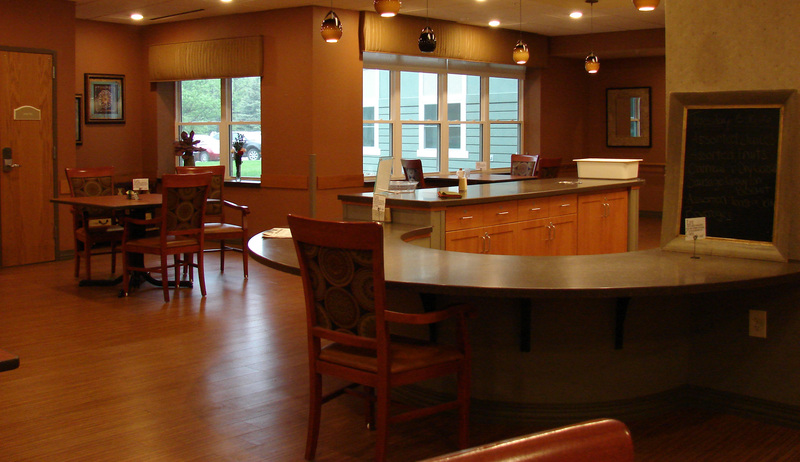 Click on the photo gallery below to see images of our facility and how they serve our residents. Friendship Haven works hard to offer top end facilities that cater to all our resident’s needs. Please call us to schedule a visit and take a personal tour of the facility. Don’t take our word for it. Read what people just like you have to say about their Friendship Haven experience. As you’ll discover, it truly is a place where one can live life with faith, passion and purpose.